Larbert West’s Kirk Session decided to speak to the Kirk Session of Zolozolo CCAP Congregation, just outside the town of Mzuzu in Northern Malawi, about the possibility of entering into a twinning arrangement, and this was enthusiastically taken up. Agreement was reached on the wording of the Twinning Agreement and so Larbert West is now formally joined with Zolozolo Congregation as partners in the Agreement which was signed at Morning Worship on Communion Sunday, 18th September 2011 in both Churches. Both congregations are agreed that this twinning is about our Christian life and witness, sharing joys and sorrows, providing each other with prayer support, and forming associations among the groups and organisations within the two congregations. There may be opportunities for fund raising or for personal or group visits, but these are secondary to sharing our faith with our brothers and sisters in another part of the world, experiencing different challenges in our different cultures and society. Since the Twinning agreement was signed there have been changes in the ministers at Zolozolo. Ministers are appointed by the Synod rather than called by congregations. The current one, Rev. Mrs Mwabi Chilongozi was inducted earlier this year, in May, replacing the Rev. Ulliam Longwe. The two former vestries have now become independent churches with their own ministers. Contact is now being made through the Woman' s Guild and their Office Bearers are Grief Isabel Nkata, Chairlady, and Miriam Chanika, Secretary. 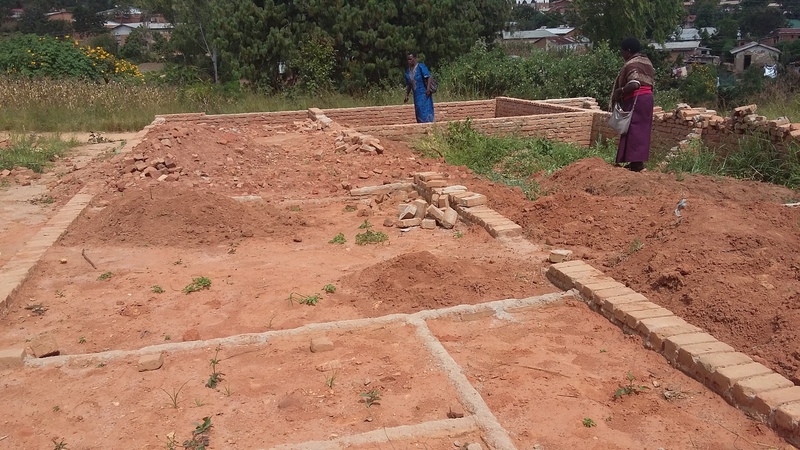 The Guild is working hard to meet the needs of women and children in the community, especially widows and orphans. 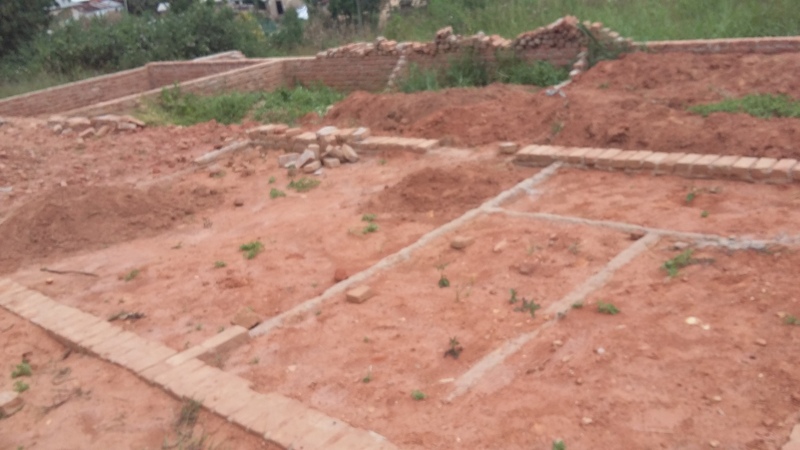 The Guild is raising money to build an Umanyano House ( Woman's Guild) to be used as a shelter, a meeting place and a storage area for amenities for distribution to widows and vulnerable children. The foundations of the house have been laid as the undernoted pictures show. We continue to hold all of them in prayer as they do us. The LATEST NEWS from Zolozolo is that they are not affected by the floods in the north but much of the rest of the country is and this has an effect on crops and living standards. Our prayers are very much appreciated.